As American jets flew top cover, in mid-August Kurdish Peshmerga militia and Iraqi special forces troops recaptured the strategic Mosul Dam from Islamic State militants. Meanwhile Iraqi Golden Brigade commandos liberated parts of Tikrit from the Islamists. But the militants counterattacked—and that drew Iran into the fighting. In a move that could have far-reaching consequences, Tehran has sent tanks into northern Iraq. As the Kurds and Iraqi commandos gained ground in the north, Islamic State fighters launched a surprise counterattack toward Baghdad. Local fighters resisted the militants north of Balad air base, formerly the center of the American occupational force. On Aug. 12, Islamic State also recaptured Jalawla, just 20 miles from the Iranian border. In its initial rampage through northwestern Iraq in June, the militants had taken Jalawla for the first time—and even had struck a nearby Iranian border post. The Kurds quickly took back the town and held it until the Islamists’ mid-August counterattack. Now the Peshmerga have launched yet another effort to liberate Jalawla. And this time the Iranians are helping them. On Aug. 21, Kurdish social media activists published pictures that appear to depict elements of the Iranian 81st Armored Division entering Kurdistan via Khaneghein, north of Jalawla. The 81st is a battle-hardened division that fought hard during the Iran-Iraq War in the 1980s. And before that, it had fought Kurdish insurgents in Iran’s restive northern provinces. Today the 81st Division is fighting alongside the Kurds. After the Iran-Iraq War, the division reorganized and re-armed. As other units gained Russian T-72 tanks, the 81st gathered up all the leftover, American-made M-60s, M-48s and M-47s. More recently, the 81st broke into three largely independent brigades—the 181st and 281st Armored Brigades plus a mechanized brigade. The units the activists spotted in Kurdistan most likely are elements of the 181st, as it’s responsible for defending the Sar-e-Pole Zahab border town near Khaneghein. Previously, there had been a build-up of armored units on the Iranian side of the border. Elements of same unit conducted a counterinsurgency drill in mid-May. M-60 and M-48 tanks provided fire support for infantry units in the Zulfaghar war game. Iranian army aviation stations Cobra attack helicopters in the vicinity of the 81st Armored Division. Iranian AH-1J Cobras are old by world standards, with outdated electronics and limited missile compatibility. But their crews possess a wealth of experience battling Kurdish separatists. They know how to fight fleet-footed insurgent troops. The 81st’s tanks likewise are old. Iranian industry has struggled to develop a modern armored fighting vehicle. 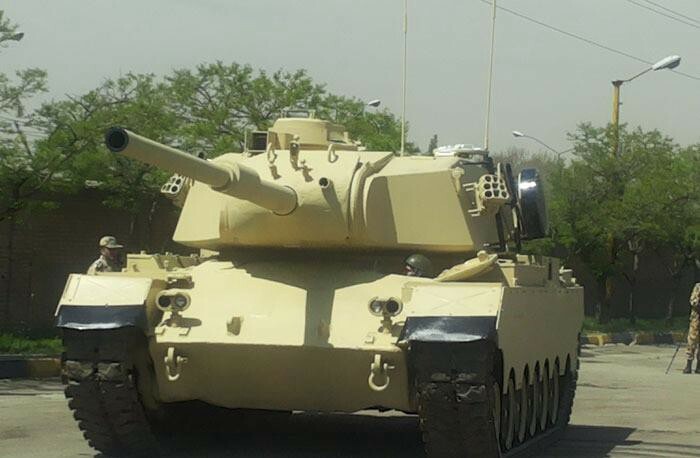 The Iranian army introduced a modernized M-60 tank called the Samsam, fitted with a targeting computer, new optics and reactive armor. But the Samsam has appeared only in parades and press events. In early 2014, Tehran also revealed an M-47 prototype with a new, angular turret. The prototype lacks modern optics and, weirdly, has no light weapon stations—both critical elements in urban warfare. Even the driver’s position seems to be problematic and unsuitable for combat. Even during the war with Iraq, Iranian armored divisions were too outdated to risk a direct confrontation with more modern Iraqi forces. Iranian tanks instead functioned as mobile artillery, following behind the infantry. This likely would be their role in the war against Islamic State. The Kurds are a light infantry force with few vehicles of their own and almost no artillery. Even aged M-60s fill a gap in the Kurdish order of battle. The Iranian M-60A1s that activists spotted in Khaneghein are vulnerable to the Islamists’ RPG-7 rockets, but if the tanks coordinate closely with Kurdish infantry, they could survive … and prove deadly against the terror group’s pickup trucks. To be clear, we don’t know whether Tehran intends to directly support the Kurds. It just seems unlikely the tanks would risk combat on their own. And in any event, the armor deployment marks a major escalation of the fighting—and a big boost for Iran’s role in the campaign. Iraq possesses a number of M-1A1, T-72A and T-55 tanks of its own, but lacks trained crews and adequate logistics. Islamic State has destroyed or captured scores of Iraq tanks. Iran’s tanks might be old, but its tank crews receive professional training at army academies that the Americans and British established in Iran prior to the 1979 revolution. An old tank with a good crew is superior to a new tank whose crew lacks education, training and experience. American, Syrian and Iranian jets fly overhead as Kurdish and Iraqi troops fight together on the ground. 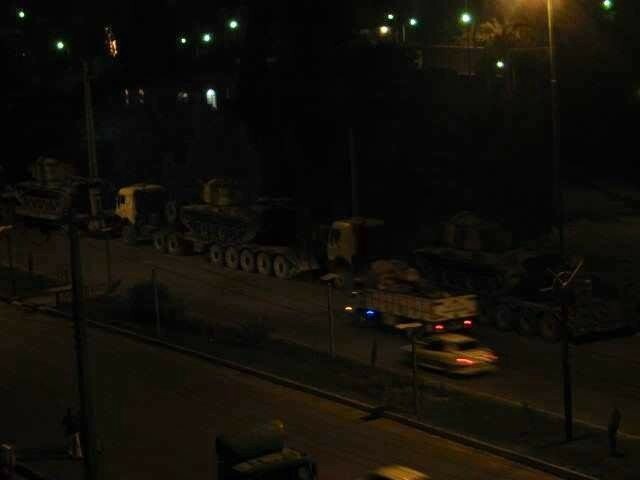 And now Iranian tanks are entering battle. The war on Islamic State makes for strange allies.